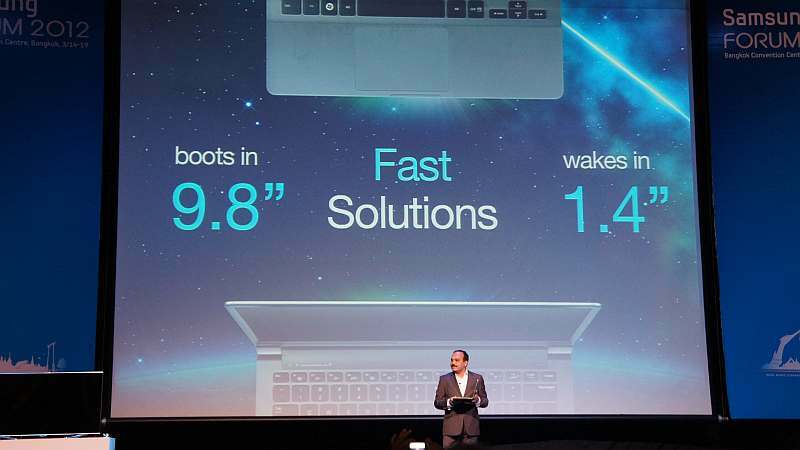 Samsung Electronics unveiled the refreshed Series 9 ultrabooks at its Samsung Forum 2012 event in Bangkok. 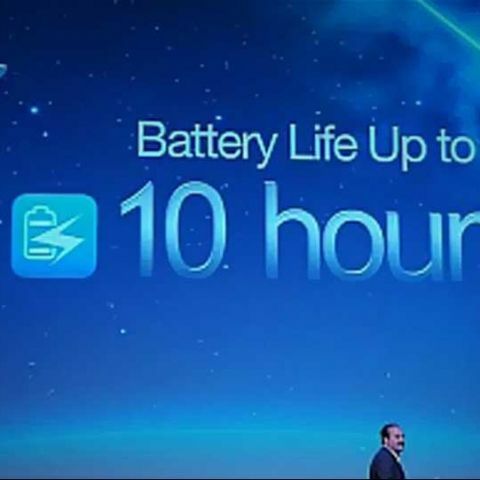 These series was originally launches at CES 2011. It boasts of the world’s thinnest notebook chassis. It is 21% thinner and 28% smaller than the predecessor. Samsung has added the MaxScreen technology that reduces the width of bezel around the display. It comes with a single shell aluminum body with the sand blasted surface for a fingerprint resistive finish. 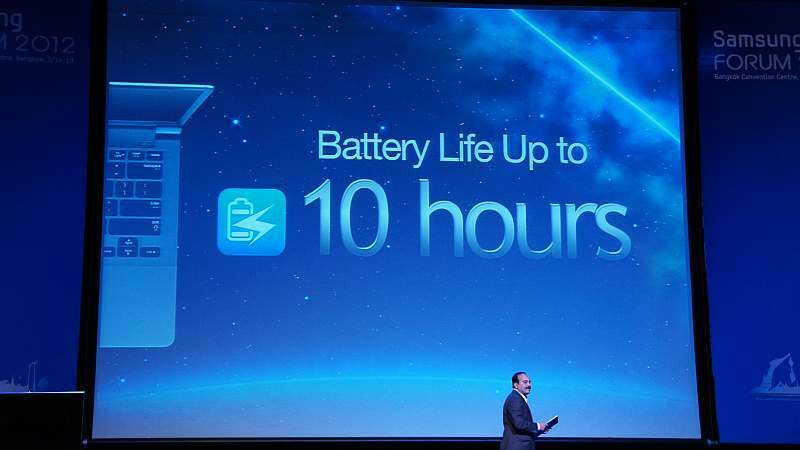 The Intel Core i7 processor powers the ultrabook, and the 15-inch screen model on display had 8GB of RAM. Expect the price of this one to be around Rs. 10,0000. Also introduced were the Series 5 Ultra laptops, available in 13-inch and 14-inch versions. A second generation Intel Core i5 processor powers this series, with up to 8GB of RAM and an ATI HD7550 Graphics card as optional. There are both the HDD and SSD options available, up to 1TB. These laptops will start at Rs 48990 and go up to Rs 54390. 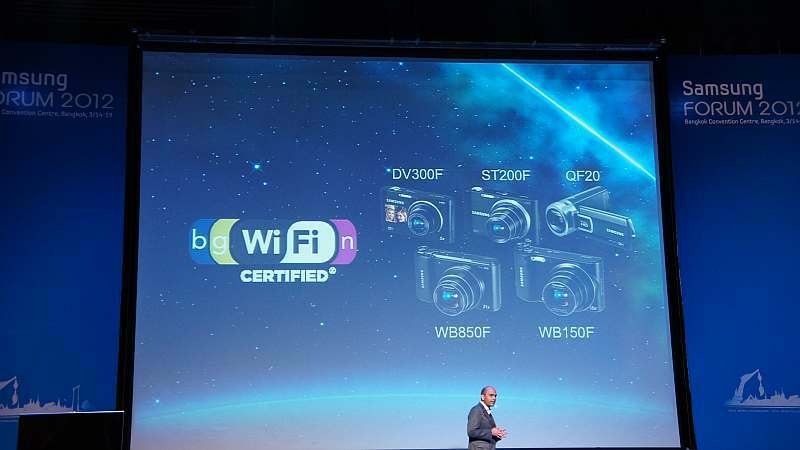 Samsung also introduced a series of SMART cameras, with the Wi-Fi enabled WB850F leading the way. This long zoom camera comes with 21x optical zoom in a compact design. The Wi-Fi Direct feature lets users upload and share their photographs and videos right from within the camera. 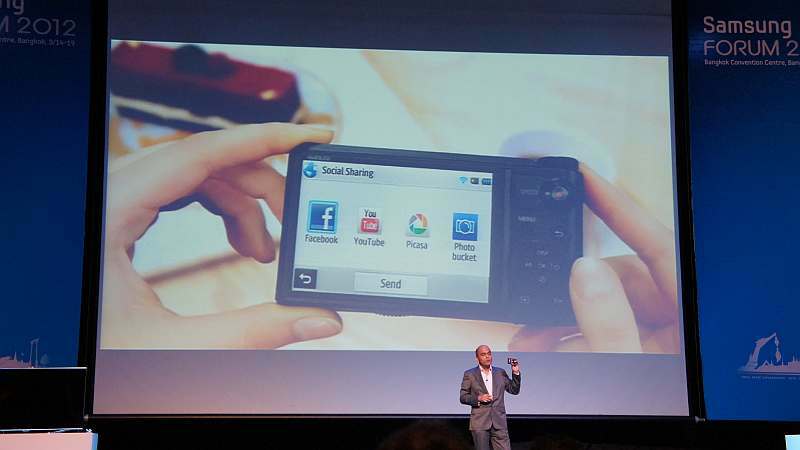 Facebook, Picasa and YouTube services have been integrated within the device. The WB150F has an 18x optical super zoom and a 14.2MP sensor. The camera also has the Split Shot feature, letting users click three separate pictures divided across the display and blend them together. Both cameras has the auto-backup feature linked with your laptop/PC, the moment both are on the same Wi-Fi network. 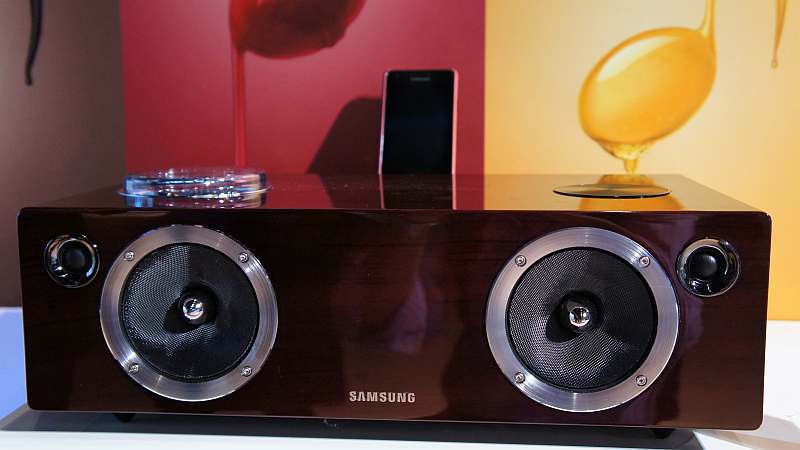 Samsung also unveiled a range of premium audio docks, with the Vacuum Tube amplifier technology. The docks will support a wide range of devices, thanks to the dual docking station on the, - micro USB port for most devices and Apple devices as well. 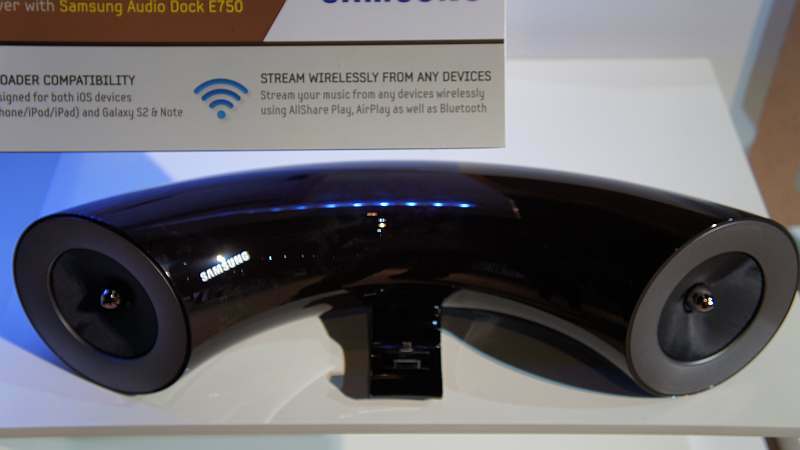 The DA-E70 is a 2.1 channel device that has full wireless capabilities for Bluetooth playback via All Share for Samsung devices and AirPlay for iOS devices. There is a USB port that will allow media playback as well, for MP3, WMA and WAV files. The rated power of the dock is 100W of output. The DA-E60, on the other hand, focuses on a very unique design - the modern horn shape, with the same dual docking capabilities as well as 40W of rated power output. Wi-Fi router with ADSL and 3G?? ?